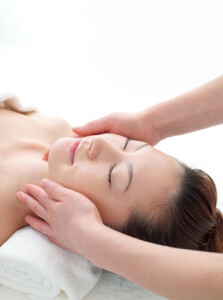 What is Massage Therapy and How Does it Relate to Chiropractic Treatment? Health problems due to various in-activities or lack of exercises are growing rapidly throughout the world and staying fit is a usually quite a challenge nowadays. With the advent of various treatment options, individuals often prefer seeking natural or non-invasive treatment options of the many modern ailments that cause a hindrance to their normal lifestyle. Among the various health care professions,chiropractic massage therapy specialist is one such professional that gives relief to many problems related to the neuro-musculo-skeletal system and other spinal disorders. Like podiatry and dentistry, chiropractic massage therapy should be considered as a medical specialty. The main technique involved in this kind of chiropractic care treatment is manual massage therapy or in other words Chiropractic Massage Therapy. In this method, specialists (chiropractor) first diagnose the problems and then find their remedies that are mostly related to the joints, soft tissues and the spinal cord. PCS will employ or contract a massage therapist for treatment with patients. Massage is a general term for pressing, rubbing and manipulating skin, muscles, tendons and ligaments. Massage therapists typically use their hands and fingers for massage but may also use their forearms, elbows and even feet. Massage may range from light stroking to deep pressure techniques. To learn more about massage therapy please feel free to contact us.